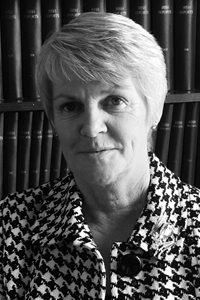 Ger joined the firm in 1979 and became a fellow member of the Irish Institute of Legal Executives in 1987. Ger later obtained an LLB (Hons) from the University of Limerick in 2003 and she was admitted as a Solicitor in 2008. During her years with the firm Ger has worked and gained vital experience in all areas of the practice including the area of civil litigation in all Courts and Tribunals handling both Plaintiff and Defendant work in several areas including personal injuries, contract disputes and debt collection. Ger now practices extensively in the areas of probate and conveyancing including advising AIB in relation to commercial loans.